My second year at AWS: down the rabbit hole. We all know, time flies. I posted about my first year at Amazon Web Services just 12 months ago and now I’m already celebrating my second AWS-birthday. It’s been a year of both personal and professional growth: it began in December when I became head of a project that has been helping some of our customers running their platforms at massive scale, all the way up to my promotion to Senior TAM a few months back. Needless to say, customers I’m looking after have made giant leaps too, as part of transformation processes that start from the infrastructure and can reach up to their corporate culture. My post about “Year One” was organised by subsequent evolutional phases but this won’t really make sense from the second year onward: I’ve been involved in a bunch of projects, every one of them with its own life. Why not trying then to recap the last 12 months by picking the project (more details on it here, with a cameo appearance) that took most of my time and checking our slogan “Work Hard, Have Fun, Make History” has been truly met in it? Let’s start here. This is how it begins. It might seem obvious, as no one ever will pay us to do something other than working hard, but it’s not. Working hard in AWS means taking responsibilities, being effective, facing challenges and turn every opportunity into an huge success. “Hard” as in pushing our brains to 100%, not necessarily as in working 16 hours a day. True, we carry pagers, and might end up having late evening calls with the teams in Seattle or doing late night debugging sessions from our hotel room, but this only happens in exceptional situations. I personally find this extremely rewarding: when you focus on a project with all your energy, then the sense of achievement when it’s done is super strong. Thought I was joking? This is my hotel room that night: note the Snowball Edge. “Having Fun” is something we keep reading in job offers: it’s a “new economy” concept, meant as enjoying what you do and finding personal motivation in addition to the obvious business one. I find this kind of comes by itself: if you work effectively on something and achieve results, then customers will trust you, the relationship will become more friendly and relaxed and you will end up having a lot of fun with them, even in the day to day. This is me looking at Chris @ PhotoBox doing some snowball-weightlifting. Last one, and possibly just another consequence. Is there any other way a successful project can finish? Sometimes we might not realise how big a given change can be. 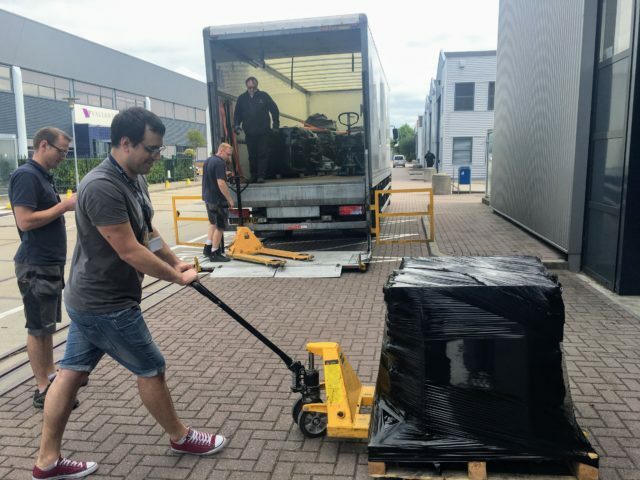 We might focus on some virtual machines becoming EC2 instances and some hard drives becoming S3 partitions, but there’s much more behind the curtains: you will see a quickly changing and moving world there. Never underestimate the importance of small actions and small steps as they can quickly prove to be giant leaps. I might have a future in this area. Two years in, and for me it still feels like it’s Day One. Learning something new every day, consciously jumping in rabbit holes every other day just to re-emerge stronger and wiser later on. Being surrounded by the smartest people on earth makes you feel extremely small sometimes, but also guarantees you endless opportunities for growth. This is what I’ll keep doing. 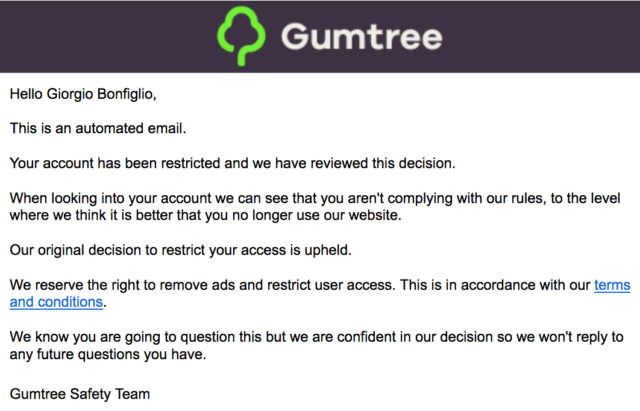 In a world where Customer Experience is key, Gumtree, the leading online classifieds website in England, is telling me to f*ck off. Something that I will do indeed as their TOS are crystal clear (they can restrict access with no explanation due), but not without telling the story first. 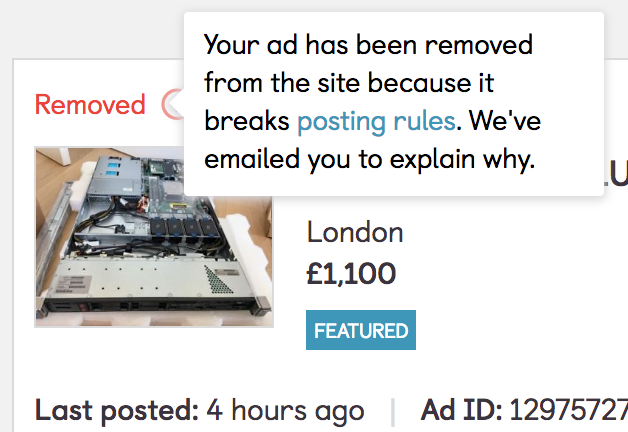 It all started this morning: after having signed up using my 10 years old Google account and my real name (which, even if I’m not Donald Trump, should have a decent reputation and trust online) I posted an AD for my HP DL320e (and even paid to have it featured). Location was my real postcode (which you can verify in public records) and I paid with an UK credit card (just another way for them to verify my identity). Allegedly, I’ve broken some posting rules and should have expected an email with some explanations. Except the email never came in (no, it’s not my spam filter, I got other emails from them) and the link to the posting rules leads to a blank page (there is a menu on the left, but every single item leads to a blank page). I tried to appeal by sending an email to their support department, hoping for a deeper review and consideration. 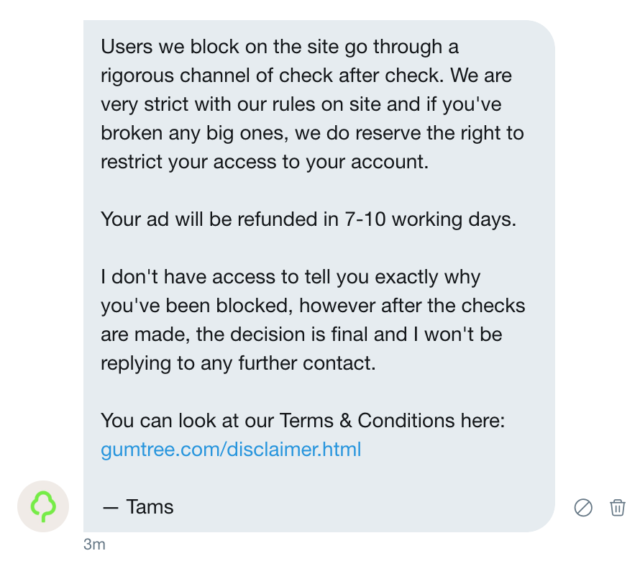 And it happened: someone came back to me apologising and explaining that my AD and account were absolutely fine, no rule had been broken and that the block was the result of a mistake. It would have been lifted immediately. In short, I’m now permanently banned. They won’t tell me why and won’t answer any further query on the matter. I would love to dig and figure out what’s wrong, but I’m in front of a brick wall. We already have a word for when you are denied something based on those four parameters: discrimination – and this is what’s happening here. If anybody from Gumtree wants to get in touch and explain feel free, you have my contact details. Telegram’s infrastructure and outages. Some updates. This post is meant as an (ongoing) sequence of updates to the previous one about Telegram’s outages in March and April 2018. Please read it here first. 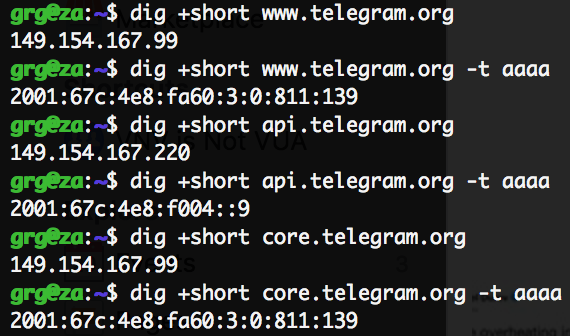 With the help of a friend (and his own HowIsResolved), we managed to confirm that for most open resolvers worldwide (25k+ tested) api.telegram.org is showing up as 149.154.167.220. Only outliers seem to be China (resolving as of now as 174.37.154.236) and Russia (85.142.29.248). During my analysis this morning I created a new Telegram App, and the (only) suggested MTProto (the Telegram protocol) server was 149.154.167.50. 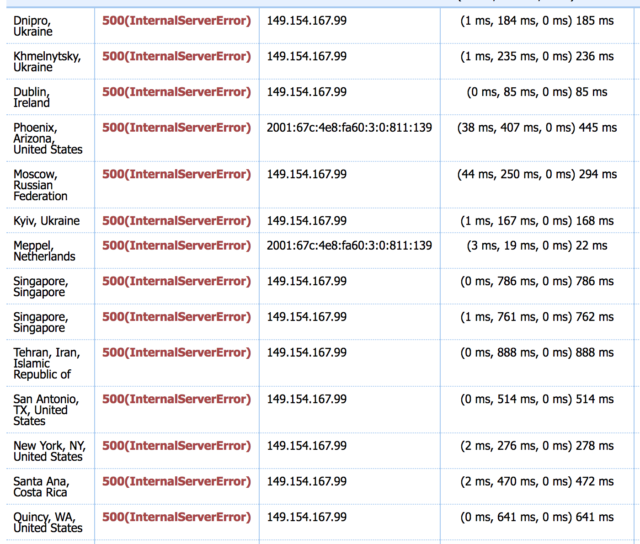 This falls into the IP range analysed above, and seems to be solely located in Amsterdam. Kipters was so kind to review and help me notice that this server is not used for real “data” communication, but just for a “discovery” API call (help.getConfig method) which will return the list of servers that will have to be used for sending messages. We are currently still in process of comparing ranges received across the world, but in the best case scenario (ie: they are spread over multiple geographic locations) this would mean that there is still a single point of failure in the hardcoded “directory” server. What I found in the previous note was “too weird to be true”, so I went ahead and kept digging into TDLib and the official Desktop and Android Apps, to confirm wether they were bootstrapping a session beginning from a single MTProto endpoint or not. Fortunately, turns out this is not the case (relevant snippets for TDLib, Desktop, Android Apps): both of them contain, hardcoded, in addition to endpoints in the range 149.154.167.0/24 (Amsterdam, AS62041), endpoints in 149.154.175.0/24 (Miami, AS59930) and 149.154.171.0/24 (Singapore, AS62014). Sounds like we should look into different reasons why many users worldwide outside of EMEA had issues today (or wait for an official, detailed post mortem if it will ever come): there are many, from broken dependencies to weird cases of mis-routing. Some areas are left to explore (feel free to share your ideas if you have any): why third party apps don’t have access to the whole list of “initial” MTProto endpoints, and are pushed to use only a single, non redundant one? Why the main website and api.telegram.org (mainly used for bots I think) are based off a single location? Telegram Web (https://web.telegram.org/) seems to be single-homed in Amsterdam too. As I haven’t had the opportunity to test during the outage, I don’t know whether it has been failed over somewhere else or not. 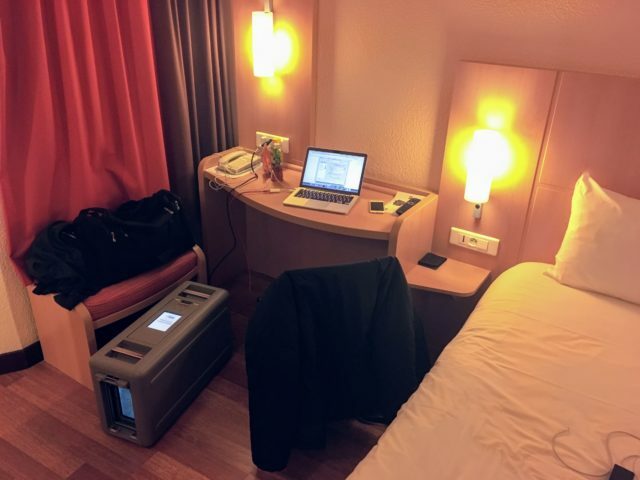 They are only moved if they keep connecting from a remote location for a prolonged period of time (ie: you permanently relocate to another continent): this might explain why there seem to be no failover scenario and 12+ hours outages are happening. 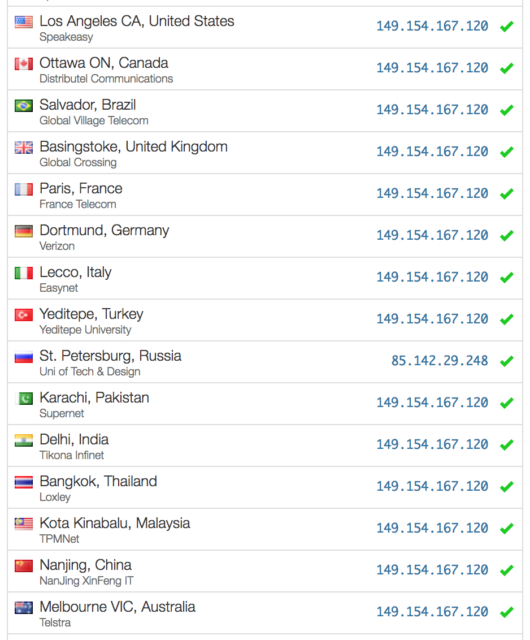 Telegram is down (again): a deep look at their infrastructure. I’ve been a strong Telegram advocate since its launch in 2013, mainly because of the advanced features and technical state of the art compared to competitors – as a consequence, I’ve been looking very closely at their infrastructure for the last few years. The two large scale outages that recently hit their users and the sequence of events following them made me ask some questions around their platform. For most of them I have only found additional question marks rather than answers, but here it is what I have so far. Let’s start from the outages: in case you missed that, on March 29th and April 29th this year, Telegram went down in their Amsterdam datacenter due to a power failure, causing disruptions, according to their official communications, to users in EMEA, MENA, Russia and CIS. Zooming in on the latter: it’s still ongoing at time of writing this article (8:30AM UTC), and is showing up with clients unable to connect to the platform and both https://www.telegram.org/ (website) and https://api.telegram.org/ (api endpoint) failing with an HTTP error code 500. 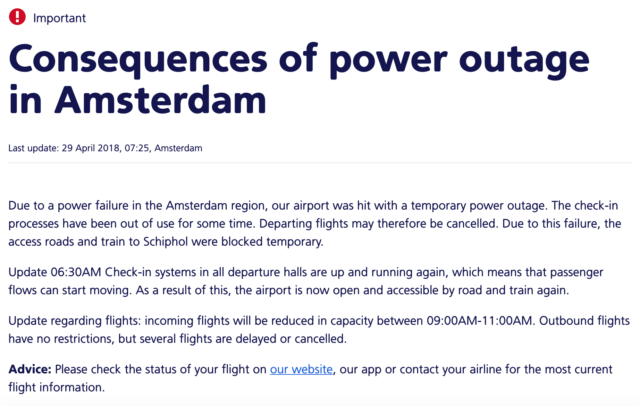 There are indeed reports of an outage that affected Amsterdam (below the one from Schiphol Airport), but no (public) reports of consequent large datacenter failures. Who’s involved in running large scale platforms will be surprised by at least two things here: the fact that they are serving an huge geographical area from a single datacenter and their inability to reactively reroute traffic to the other locations they are operating, even in case of extended outage (no DR plans?). A quick search on Twitter shows that even if the official communication states the issue is only affecting the EMEA region, users from Canada, US, Australia, Japan and other countries are facing it as well. I went ahead and began digging to find out more about their infrastructure, network and the other locations they are running from. And here comes the second huge question mark: the infrastructure. A bunch of DNS lookups across the main endpoints show they are always resolving to the same v4 and v6 IPs, in a way that doesn’t look related to the source location of my queries. 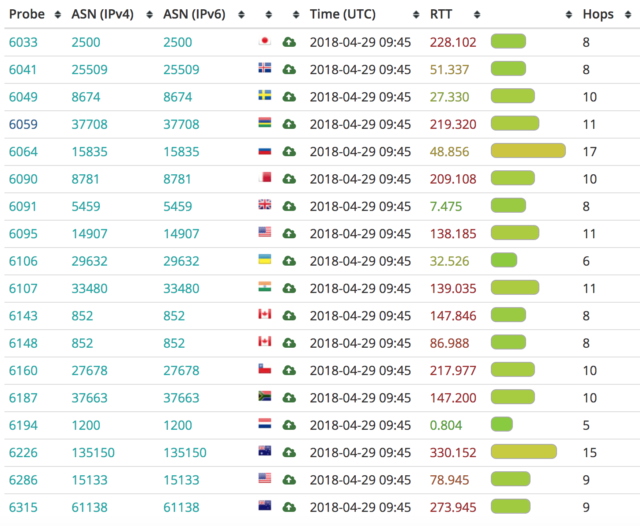 They look to be announced by AS62041 (owned by Telegram LLP): this kind of DNS scheme made me think they were running an anycast based network, so next logical step has been analysing latencies from multiple locations. Turns out, latency is averaging 20/30ms from EMEA, 100/150ms from AMER, and 250/300ms from APAC: as if from all of those countries you were being routed to the Amsterdam datacenter. What I’m seeing in terms of latency is confirmed by analysing reverse lookups of routers found in the different paths to Telegram: in my trace from Australia the last visible hop is et3-1-2.amster1.ams.seabone.net (notice that “ams”), most of the traces from US are landing on xcr1.att.cw.net (195.2.1.14) which 1 millisecond away from my lab in Amsterdam and a couple of samples from US and Canada are running all the way up to ae-2-3201.ear3.Amsterdam1.Level3.net, which is self-explaining. To get the full picture, I decided to dig into AS62041 main upstream carriers (CW AS1273, TI Sparkle AS6762, Level3 AS3356) and see how they were handing over internet traffic to Telegram. As said in the opening, there are definitely more questions than answers in the article. It’s as if there was no Telegram infrastructure outside Amsterdam, and over there it was running in a single datacenter. This would explain why users across the world are seeing an outage that should only affect EMEA and close areas, and why Telegram is not taking steps to reroute users to another datacenter/location during the failure in AMS. Am I missing something very obvious? Please let me know! UPDATE: With the help of some friends and random people, I found out more details. Find them (with -ongoing- updates) in the dedicated post. This is your sysadmin speaking: please expect some turbulence. 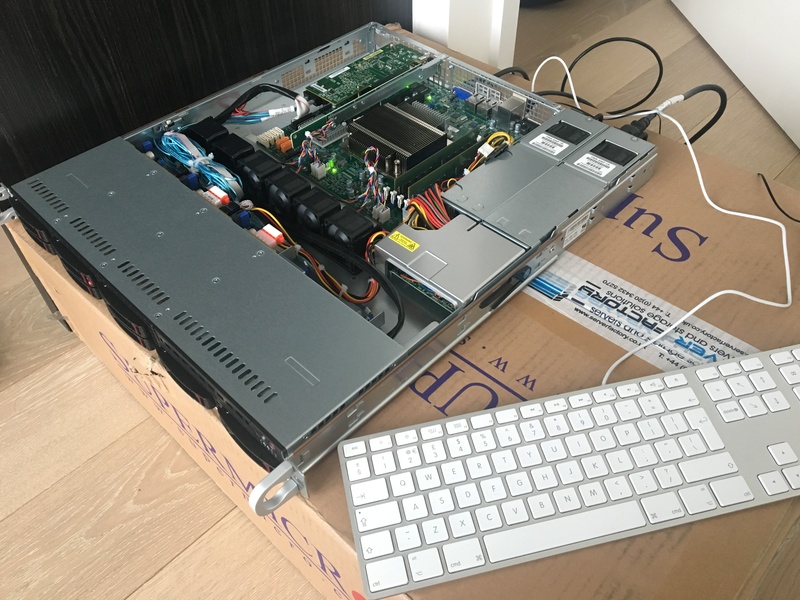 A few months back I blogged about my HP DL320 Gen8’s (in)compatibility with the outside world, and someone suggested me to solve the problem by replacing the P420i RAID controller with an LSI-something which would ensure wider flexibility. Others were suggesting to replace (again) the hard drives instead, and someone was even pushing to swap this “hobby” with something healthier and go cloud instead*. …well, not really: I also replaced the chassis, motherboard, CPU, RAM banks, fans, PSUs and drive caddies. D-Day for replacement is April 18th (taking a day off from my job to go and do the same things, just for hobby, feels really weird, yes), with a 6 AM wake up call, flight to AMS, 8/10 hours to do everything and a flight back to LON (LTN to be precise, because I didn’t double check before hitting “Buy”). Now to the sad part: there is no (easy) way to just move the drives to the new server and have everything working, so I have to reinstall it from the ground up. This means my stuff (including this blog, because loose-coupling is a thing but I decided to run its DB and NFS from another country… …for some reason) will be down (or badly broken) during that time window and possibly longer, depending how much I manage to do while I’m onsite. The timing couldn’t be better for a clean start, as in the last few months I had been considering the option to move away (escape) from Proxmox (which, as an example, is so flexible that its management port number is hardcoded everywhere and can’t be changed) to something else, most likely oVirt or OpenNebula. Haven’t taken a decision yet, but I’ve really fallen in love with the latter: it’s perfect for the cloud-native minds and runs on Debian, whereas oVirt would force me to move to the RPM side of the world. Deeply apologise in advance for my rants on Twitter while I try to accomplish this mission. Stay tuned. * I.AM.100%.CLOUD. 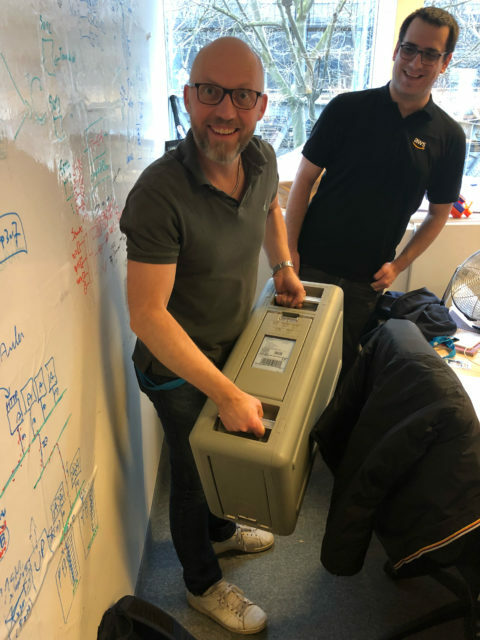 There are two things you can’t (yet) do in the cloud: physical backup of your assets that live in the cloud and testing stuff which requires VT extensions. This is what I’m doing here: ZA is my bare-metal lab. ** this is not ZA Rev2. It was supposed to be, but it came in with a faulty backplane so I pushed for it to be entirely replaced. I don’t have a picture of the new one with me at the time of writing but… yeah, it looks exactly the same (with better cable management). Privacy / Proudly powered by WordPress Theme: Nisarg.